Former US president Barack Obama is in advanced talks with Netflix Inc. to produce a series of high-profile shows, the New York Times reported on Thursday, citing people familiar with the matter. Under the terms of a proposed deal, Netflix will pay Obama and former first lady Michelle Obama for exclusive content on the video streaming service. The number of episodes and format of the shows has yet to be decided and Obama does not intend to use the programmes to directly respond to criticism by his successor, Donald Trump, or other political opponents. In addition to Netflix, executives from Apple and Amazon have expressed interest in talking to Obama about content deals, according to reports. It’s not clear yet how much Barack and Michelle might make from any deal, though the former president has been paid as much as $400,000 USD per speech and the former First Couple expect to get as much as $60 million combined for their memoirs. The paper said one possible idea would include Obama moderating conversations on topics that dominated his presidency, including healthcare and climate change. Another program could feature the former first lady discussing topics such as nutrition, which she championed in the White House. 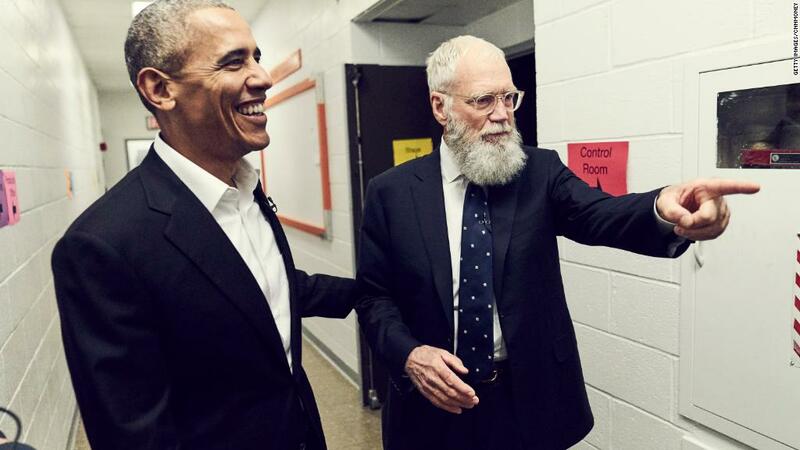 Obama appeared in the debut episode of David Letterman’s Netflix series, “My Next Guest Needs No Introduction,” which began in January.